Become a hero with extraordinary powers and battle in epic arenas across time and space. MoAR is a cross-platform multiplayer online fighting game. This is the opening screen for each player. This is a Remnant, or home. There are two different types of Remnants: an Arena Remnant is a combat level that allows players to gain credits by killing AI enemies or against other players, a Home Remnant allows players using those credits to customize and improve their heroes. 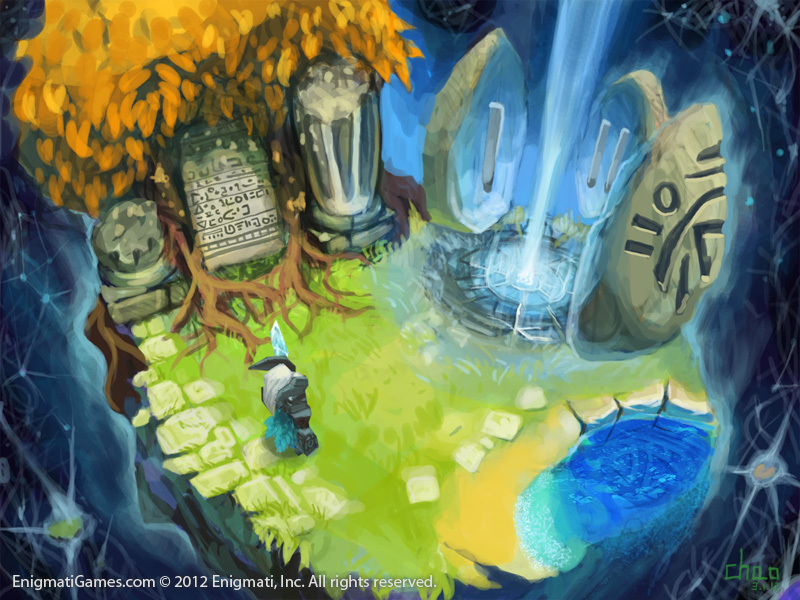 This is a concept art for a potential interactive 3D scene. The monolith, pool, and the 3 large stones are examples of Monuments. They provide features such as learning new abilities, changing the current playing heroes or their appearance, and teleport to other Remnants.